Great Wall of China Trek 2018…NEW! 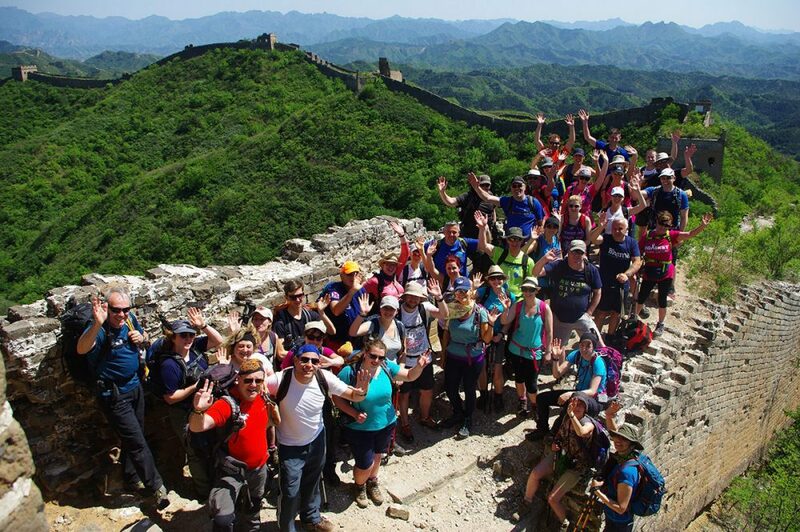 Home • Events • Challenge Yourself • Great Wall of China Trek 2018…NEW! Registration Fee – £299 + minimum Sponsorship of £2700 plus Airport Tax and Fuel Surcharge Contribution of £250. Registration Fee – £299 + Self Funding £1350 plus Airport Tax and Fuel Surcharge Contribution of £250. Our Great Wall of China Trek is a fantastic charity challenge hiking for five days along this magnificent man-made structure. The challenge takes us over watch towers and mountains, through historic battlement stations that are well off the tourist trail. You’ll also ‘lend a hand’ repairing a section of the Wall that is currently being reconstructed. You will place a personalised brick in this newly restored section, ensuring our own place in the Great Wall of China! Memories to cherish for a lifetime. For more information on how you can challenge yourself and raise vital funds for Rowcroft Hospice, contact our Community Fundraising Manager on [email protected] or 01803 210835. Depart the UK on an overnight flight to Beijing. Arrive in Beijing, meet local guides and transfer to hotel. Rest of the day free to acclimatise and refresh after flight. Warm up trek from Tiapingzhai to Huangyaguan. Trekking time 3 hours. Trek the remote and stunning Gubeikou section of the Great Wall covering 27 watch towers! Trekking time 7-8 hours. Trek from Jinshanling to Simatai – another remote section, far from tourist trail. Trekking time 8-9 hours. Trek Mutianyu section of the Great Wall and conquer the 1,000 steps that make up the ‘Heavenly Ladder’. Trekking time 6-7 hours. Morning is spent in Badaling section of the Wall, repairing a watch tower. After lunch, transfer to Juyongguan to continue trekking. Trekking time 7 hours. Free day in Beijing to explore the sights and sounds of this amazing capital city. Transfer to Beijing for fight back to UK, arriving same day.